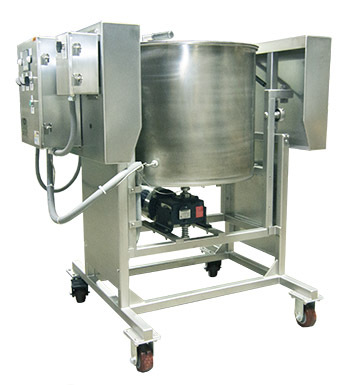 In keeping with company tradition to infuse quality into every aspect of our machinery and operations, our M320 Cooker/Coater features a uniquely engineered single-process design. First operators preprogram temperature set points. Once the proper temperature is achieved, an alarm activates signaling the time to add the necessary ingredients. The cooking/coating process then continues automatically until the coated corn is ready. This Cooker/Coater is ideal for caramel corn, peanut brittle, kettle corn (with optional quick-change agitator) and other candies. 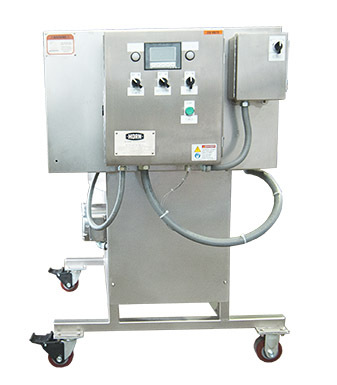 With a single M320 unit producing up to 100 lbs/hr, you can count on the same consistent quality you have come to expect in all of Horn’s snack food equipment. 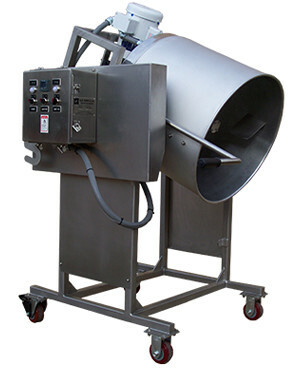 With an alternate agitator this unit can oil-pop popcorn at approximately 70 lbs/hr. Capacities for Cooker/Coaters are based upon input temperature of 185 F. Actual final output depends upon recipe and customer process. AC Horn Manufacturing will work diligently with you to meet your company's precise processing needs.